This is a set of aluminum electrolytic decoupling capacitors. Very handy for experiments and home cooked circuit board. 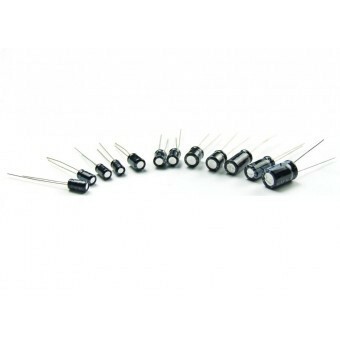 This pack comes with 12 sets of capacitors with various capacitance and working voltage.